With a title like CAPTAIN FANTASTIC, you’ll be forgiven for thinking that Matt Ross’ latest film is a superhero movie. But this human drama is far away from the mystical powers of DOCTOR STRANGE of the super-human abilities of CAPTAIN AMERICA. What is actually is, is a fresh, funny and heartbreaking tale of one family’s journey to navigate life on their terms. Written and directed by Matt Ross, CAPTAIN FANTASTIC tells the story of an American family who have retreated from the world to the forests of the Pacific Northwest. Ben (Viggo Mortensen) and his wife Leslie (Trin Miller) raise their six children under a strict survivalist patriarchy. Ben believes in a rigorous education based on philosophical theories learned from the books, as well as intense physical training such as how to hunt and how to climb. But when Leslie suddenly dies, the family’s world is completely rocked. Ben is faced with the difficulty of re-entering society with his children to attend the funeral, challenging his idea of what it means to be a parent. There, he encounters some well-meaning relatives (Kathryn Hahn and Steve Zahn) who view his parenting choices with scepticism, and Leslie’s wealthy and influential father, Jack (Frank Langella), who is determined to take his grandchildren away from their father. 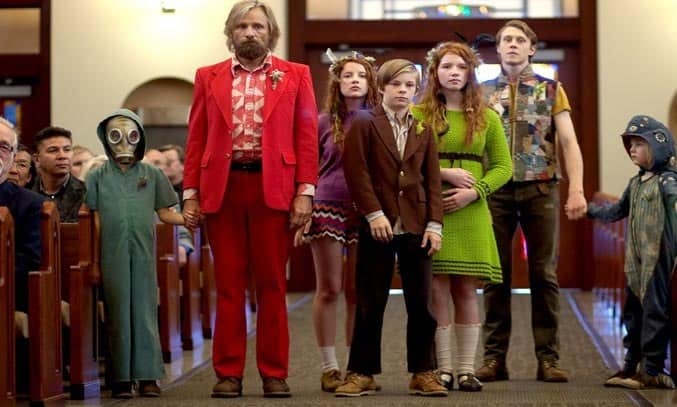 Provocative, daring and thought-provoking, CAPTAIN FANTASTIC is a witty and articulate film that is as daring as its protagonists. The film raises some serious questions about the role of a parent, initially championing Ben’s parenting approach before directly challenging it with the encounters they have with their extended family. The film uses the confrontations between Ben’s family and the outside world to comment on contemporary issues and debates in American society, leaving us to question whether the children who are bright, independent, articulate and socially awkward, are actually better served by being integrated with society than being separated. The film’s strength lies in its cast with terrific performances from Viggo Mortensen and George MacKay in particular. Mortensen is excellent as Ben, giving the character’s authoritative approach shadings of softness and openness, in what is one of his best performances to date. 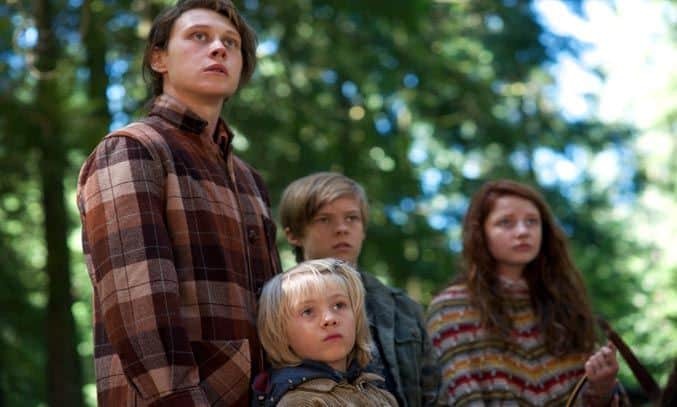 The kids, played by George MacKay, Samantha Isler, Annalise Basso, Nicholas Hamilton, Shree Crooks, and Charlie Shotwell are equally brilliant, the chemistry between them creating a believable family unit. George MacKay, who plays the eldest son in the family, also stands out in what is a breakout performance for the young actor. While Ross’ screenplay delivers for the most part, there are occasions when it stumbles. There are some great comedic moments in the film but on occasion, the tone oscillates too quickly from light to heavy. The film’s resolution is also too facile, pushing aside the idea that Ben’s back-to-nature style might not only be detrimental to the children’s social and emotional well-being, but could also be physically damaging as well. That said, there is plenty to like about this human drama and it’s a refreshing change from the usual action and comedy blockbusters that tend to dominate the summer of cinema. A touching film about the bonds that hold and sever families and the different philosophies on how to raise children in today’s world.